Around one in four retirees in the UK return to work or ‘unretire’, mostly within five years of retiring, according to research that uses longitudinal data from the British Household Panel Survey and Understanding Society. The researchers from The University of Manchester and King’s College London have found that ‘unretirement’ is now common. Men are more likely to unretire than women, as are people in good health, those who are better educated and those still paying off a mortgage. Perhaps surprisingly, unretirement is not linked to financial issues. The research found that people who report having financial problems before retiring are not more likely to unretire than those without financial problems, nor are those with lower incomes. After ten years, a retiree’s chances of returning to paid work are low. The research highlights that recently retired people, aged both above and below the state pension age, represent a pool of potential labour, if the right opportunity presents itself. The team of researchers used data from the British Household Panel Survey (1991-2008) and Understanding Society (2010-2015) to examine levels of unretirement. 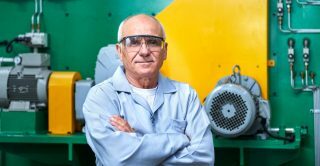 Unretirement was defined as reporting being retired and subsequently recommencing paid employment, or beginning full-time work following a partial retirement. “This research points to the changing nature of retirement transitions, and the more fluid relationships that people have with paid work around mid- and into later-life,” said Professor Price.